Novak Djokovic accepts that Rafael Nadal will once again be the man to beat at this week's Monte-Carlo Masters. 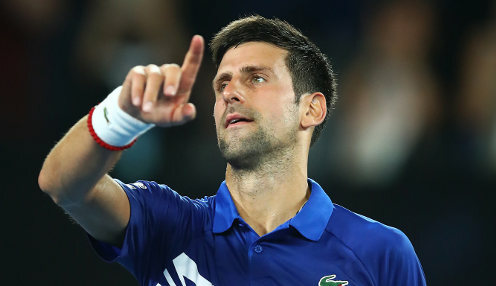 The Spaniard, who has won the tournament 11 times, is 1.80 to clinch one Grand Slam title in 2019 while world number one Djokovic can be backed at 2.25 to triumph in two. Nadal has not competed since being forced to withdraw before the semi-finals of the BNP Paribas Open at Indian Wells because of a problem in his right knee. Djokovic said: "I think Rafa is obviously always a very clear favourite on any clay court in the world and that doesn't change. He's still there. If he's physically fit he's definitely the number one guy on this surface, without a doubt. It is what it is and I'll try to look on the positive side. "After him, it's quite open. (Alexander) Zverev has done really well on clay the past few years. Dominic Thiem, of course. Roger (Federer) is going to play as well this season, so that's great for tennis. I think it is pretty open." Federer will not be involved in Monte Carlo but is set to play at the French Open which he is 26.00 to win. Nadal can be backed at 1.90 to triumph in the second Grand Slam of the year. Djokovic said of Federer: "I thought tennis was missing him definitely on clay last year. He's been playing some great tennis this year. Dubai, Indian Wells, Miami, he's won two out of three, played the final in Indian Wells, [which is] as good as it gets." Djokovic has endured a difficult few weeks after crashing out in the third and fourth round at Indian Wells and Miami respectively. He said of those surprisingly early exits: "This is sport, it happens. Certainly I was disappointed because I thought I was playing better and better and I thought I could go far. But at the same time it is what it is and as I said I'll try to look on the positive side."